“We have to face the unpalatable fact that our present government has adopted policies that are consciously directed toward harming the core interests of a section of the South African population according to their race,” De Klerk told attendees during the launch of the Centre for Unity in Diversity. De Klerk criticised the government’s BBBEE and affirmative action policies, saying that they were incrementally limiting the economic and cultural space within which minorities can operate. De Klerk said this was bad news for minorities who comprise of 26% of the population. He said there was a toxic argument, propagated by the current government, seeping into national discourse that whites have not atoned for their sins and all land was stolen from black people. There were reassurances however, he said. He told attendees it was reassuring that whatever governments ideological ideals might be, it could not implement them without, “causing damage to the country and the interests of its own supporters”. 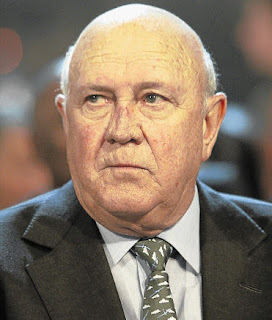 De Klerk said he was also reassured by the results of the local government elections which signalled an important move away from race-based politics.